After ramming down the “background checks for gun transfers” bill, SB143, which requires expensive background checks for any transfer outside of scant few exceptions (as well as record keeping), the Nevada Legislature and Governor Sleestak Sisolak, continue to attack the fundamental rights protected by the 2nd Amendment. SB120 allows the government to take away your firearms for up to a year at a go even if you have committed no crime. This allowance for “emergency” protection can be lodged by a wide number of people, including in many cases people who used to live with the person being targeted, or a relative of a relative, including a child’s other parent even if the child is a grown adult and has nothing to do with the “high-risk behavior”, or a police officer. And what is some this “high-risk behavior”? It could be whatever a police officer decides it is, or simply getting a bit too drunk, even if a firearm is not involved in any way shape or form, or whatever conduct the court considers is “relevant”! Most disturbing of all one of the explicitly mentioned “high-sirk behaviors” is when one has purchased or aquired any firearm and had “[a]quired a firearm or other deadly weapon within the immediately preceding 6 months”. That’s correct. 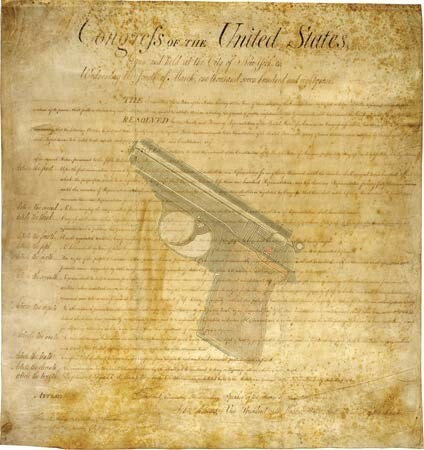 Merely acquiring or buying guns can not be a legal justification for taking your guns. And this emergency order can be ordered in absentia without the person targeted ever knowing. It is frightening to think that a right protected by the Bill of Rights can just be taken away without even the accusation of committing a crime. Additionally, another bill, AB153, sound more innocuous, but in contect of the statutes, worrying. At present, it is illegal to air or knowingly permit a child, who isn’t under the supervision of a parent or designated adult, to gain and have a gun. Current law states that if the gun is locked up in a secure location. AB153 gives a broader “negligence” standard if there is a “substantial risk” regardless of it is secure or locked up. This means that even if a weapons is locked up or in a secure location, a person who hasn’t aided or knowingly permitted, can still be guilty of a crime if there is but a risk that a child obtained a weapon, even if by theft, if there is a “substantial risk” that it could be obtained by someone who is under 18. The nebulous language is dangerous and could mean that if one’s neighborhood or place where they park their car is suffering from a spate of break-ins (i.e. there is a “substantial risk”), and even if otherwise secured or locked up, the gun is obtained (i.e. “Negligently store[d]” since it was left obtainable) by a minor, then it is the person whose gun that is stolen is guilty of a crime. While section 3 of the statutory language says that a person did not “aid or knowingly permit a child to violate” the prohibition of said child having a gun, this new provision is in addition to that. Of note, this is not an exhaustive list of bills introduced this Legislative session, since there is still time for new bills to be introduced and rammed through the Legislative process. This entry was posted in Gun Rights, Progressives and tagged 2nd Amendment, Leviathan, Nevada, NVGov, NVLeg, μολὼν λαβέ. Bookmark the permalink.